I think Jala Smith-Huys is a creative genius. She’s got an eye for design, but also a head for business. Jala has created a business that merges her love for travel, her belief in sustainability, her mastery of social media and her talent for design. 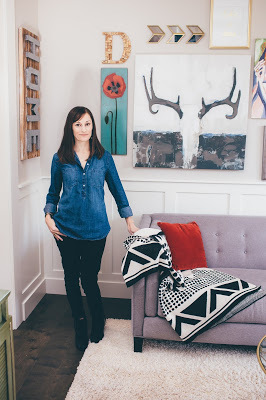 Jala Smith-Huys is the incredible person behind the eco-blankets of Seek and Swoon. 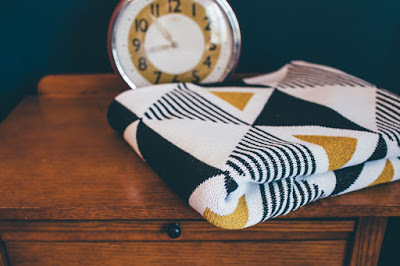 Seek and Swoon blankets are not your ordinary throws. Each throw tells a story through its design and feel. Most of Seek and Swoon’s uniquely designed throws reflect Jala’s impressions and sense of joy from her travels. For example, Envie evokes the sense of being in Paris. Slip under the blanket, and imagine you’re looking out at the Eiffel Tower and walking along the Champs d’Elysee. In fact, each blanket comes packaged with its own story. You can also feel good about your Seek and Swoon blanket. All of the blankets are made in the USA by a second generation, family-owned and operated knitting mill. Jala contacted close to 100 knitting mills in the U.S. to find just the right one that shared her values and vision. Jala sources yarn made from re-purposed, textile manufacturing scraps. The yarn is not bleached. The colors are the original colors. From start to finish, Jala has designed a manufacturing process that conserves resources and supports the US knitting industry. Jala has worked in design all of her professional life, and her expertise is in graphic design and social media. She spent nine years as creative director for New Seasons when it first opened. In fact, she was one of the original 12 employees. After getting married, Jala went out on her own as a freelance graphic designer, working mostly with her network in the food industry. She adeptly saw the boom of social media coming, and was an early adopter of Twitter. Soon, she found herself developing social media strategies for some of the bigger food brands in the Pacific Northwest. Jala almost sheepishly admits to being what she calls a serial entrepreneur. Jala says she’s always dreaming up new businesses to launch, but most ideas lay dormant. I rather think that’s a positive trait. I think it shows her ingenuity in action, but also the smarts to know when an idea is ripe for the market. Jala explains she’s always been interested in making products instead of providing a service. She’s always looking for a way to find that balance in her life. In 2015, Jala and her husband decided to do something different. They packed up their two young boys and took a traveling sabbatical. Over the course of 60 days, they traveled through four countries in Europe and visited seven cities. Staying in Air BNB’s and multiple days in one spot, Jala and her family got a glimpse of what life is like somewhere else. They also caught the travel bug. After returning from their adventure, Jala felt inspired to blend all her passions into one business. While sitting on her sofa under a blanket, she began thinking about products that people use and value. Then the idea hit. Why not design blankets around the places she has visited and then give the blankets a story. Absolutely brilliant! Jala went to work on her idea. She started creating designs. She contacted the knitting mills and discovered the recycled yarn. Jala learned about the manufacturing side of the business. The website www.seekandswoon.com launched in September, and she’s already building inventory from the eight different blankets she has designed so far. She’s even got a blanket, The Hope Throw, designed to bring hope to women suffering from ovarian cancer. 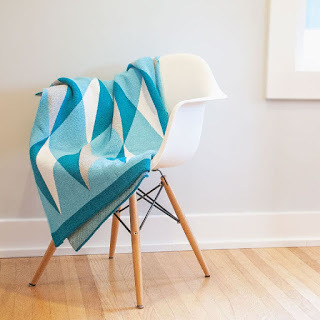 This blanket is inspired by Jala’s mother’s fight with ovarian cancer. Jala donates $20 from every sale to the Ovarian Cancer Research Fund Alliance.